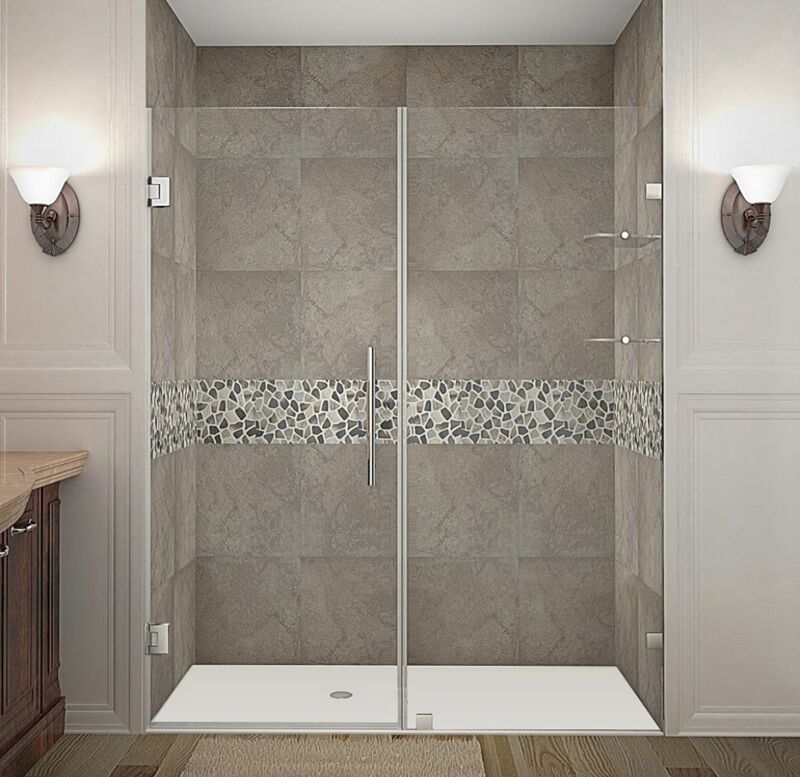 Utility meets luxury with the Nautis GS completely frameless hinged swinging shower door. Available in a multitude of dimensions - from 36" to 76" in width - the Nautis GS consists of a fixed glass panel with a built-in two-tier shelf storage system and a hinged swinging glass door panel. All models feature 10mm ANSI-certified clear tempered glass, stainless steel or chrome finish hardware, Self-Centering door hinges, premium leak-seal clear strips and is engineered for reversible left or right hand installation. Includes a 5 year limited warranty, standard; base not included. Nautis GS 63 Inch X 72 Inch Completely Frameless Hinged Shower Door With Glass Shelves In Chrome Utility meets luxury with the Nautis GS completely frameless hinged swinging shower door. Available in a multitude of dimensions - from 36" to 76" in width - the Nautis GS consists of a fixed glass panel with a built-in two-tier shelf storage system and a hinged swinging glass door panel. All models feature 10mm ANSI-certified clear tempered glass, stainless steel or chrome finish hardware, Self-Centering door hinges, premium leak-seal clear strips and is engineered for reversible left or right hand installation. Includes a 5 year limited warranty, standard; base not included.